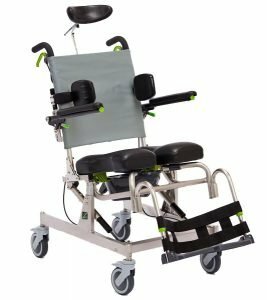 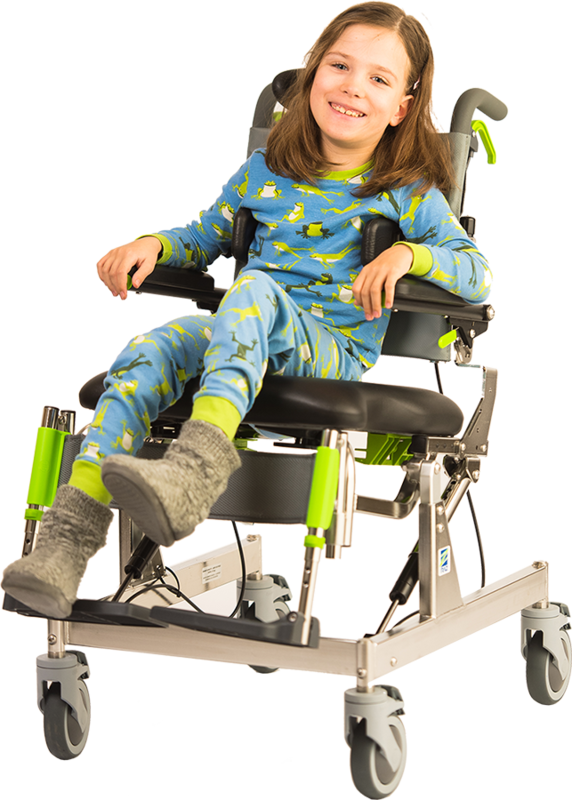 Raz Design manufactures prescribable mobile shower commode chairs that can be configured and adjusted to fit users for optimal positioning, maximum function and comfort. 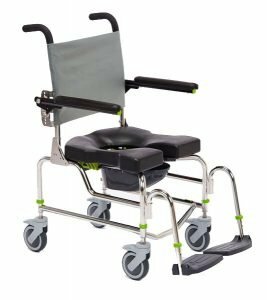 Raz mobile shower commode chairs offer more than you would expect. 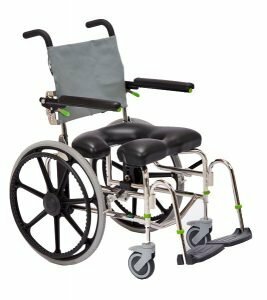 Comfort, Seating and Accessibility are priorities. 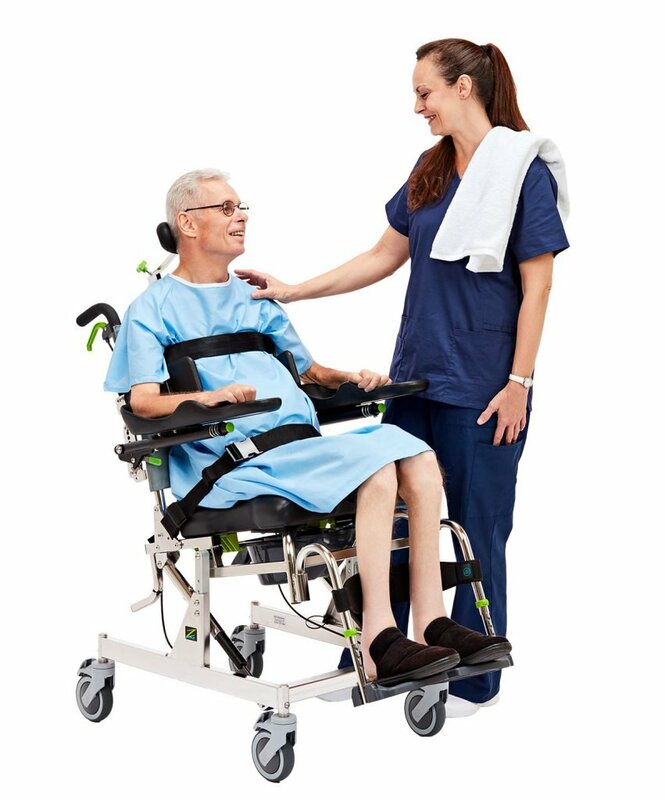 The shower chair frame designs provide easy side/front access for users or caregivers. 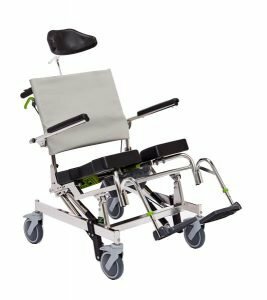 All Raz mobile shower commode chairs come standard with stainless-steel frames, adjustable-tension back upholstery, dual-locking casters, flip-up padded armrests, and a soft, molded commode seat with the Ischial & Pelvic Alignment System (IPAS) that is exclusive to Raz. 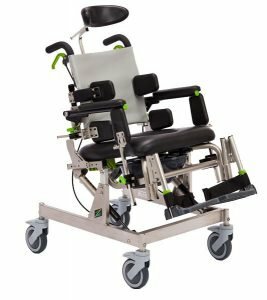 Raz offers a large array of options that allow you to configure your shower commode chair to meet your unique needs. 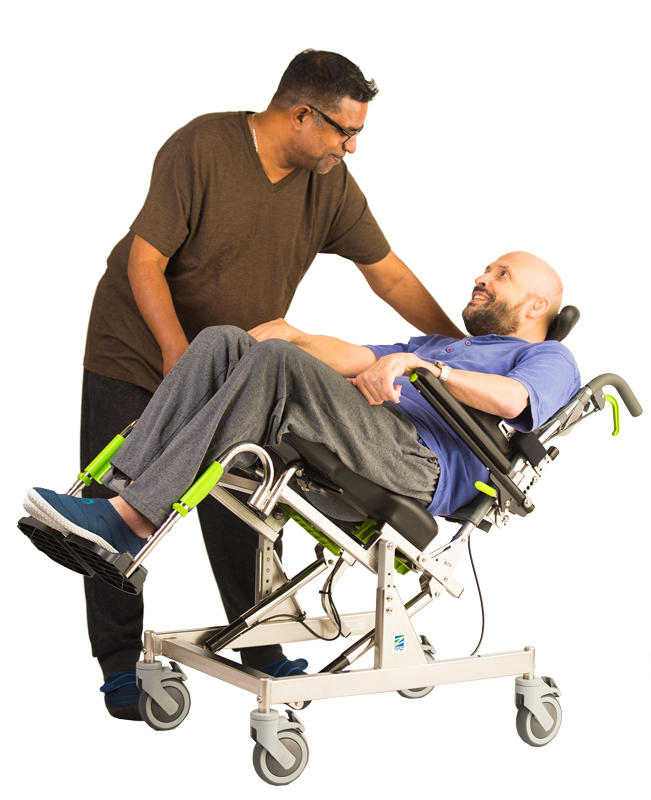 As well, Raz will custom manufacture frames, seats or options when a standard configuration doesn’t offer the functionality you require. 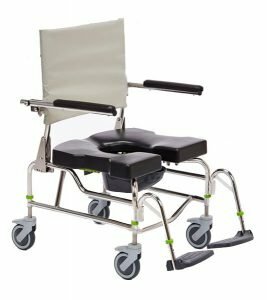 Choose Raz and get the mobile shower commode chair that’s right for your needs. 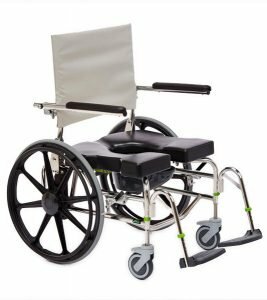 At Raz Design we take pride in manufacturing quality shower commode chairs and your feedback is important to us. 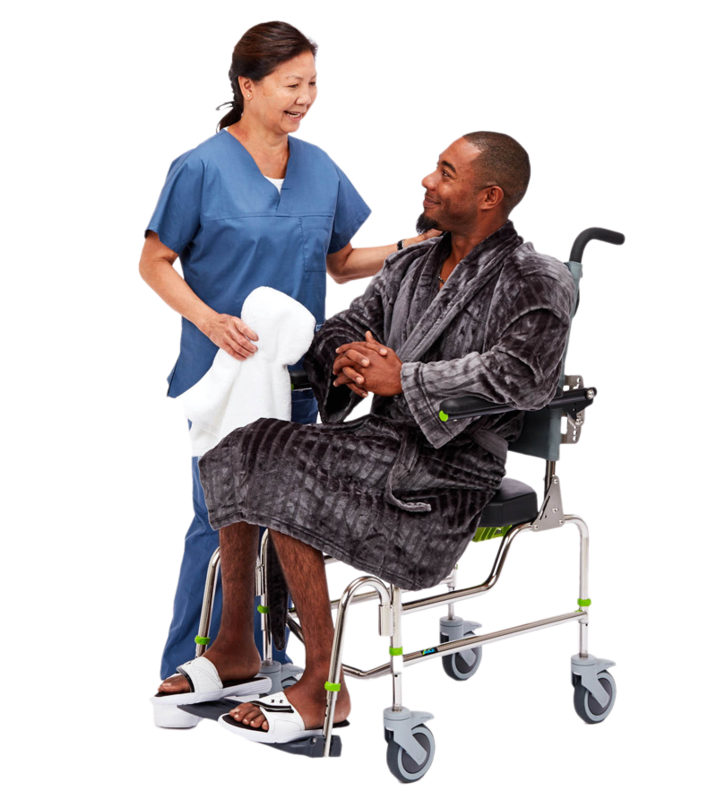 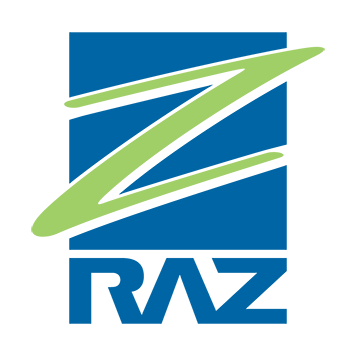 Please take the opportunity to fill out our Client and Health Care Professional Survey’s.